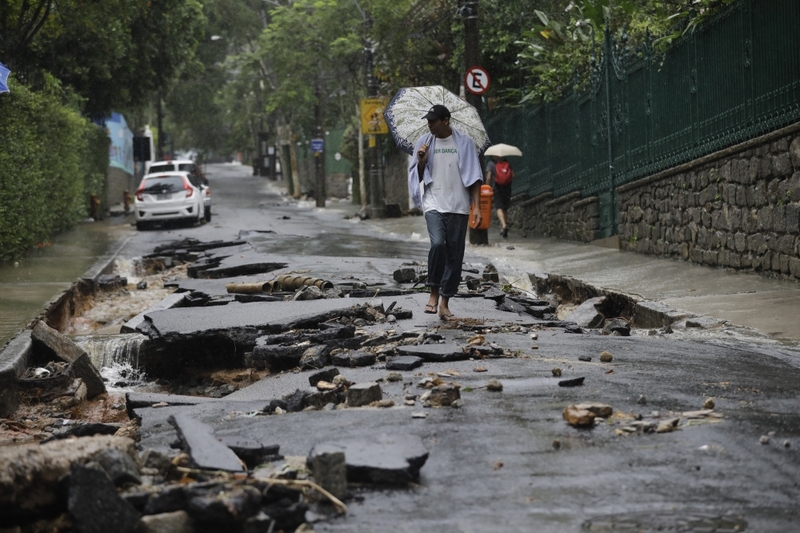 Heavy rains killed at least 10 people and left a trail of destruction in Rio de Janeiro on Tuesday, raising questions about the city's preparedness to deal with recurring extreme weather. Torrents of water gushed down streets, sweeping up cars and uprooting trees after rains that began around rush hour Monday evening. Rains slowly weakened by Tuesday evening, but Mayor Marcelo Crivella said the city was still in "crisis" mode, the highest of three levels. Schools were closed and people urged to avoid non-essential traffic until further notice. 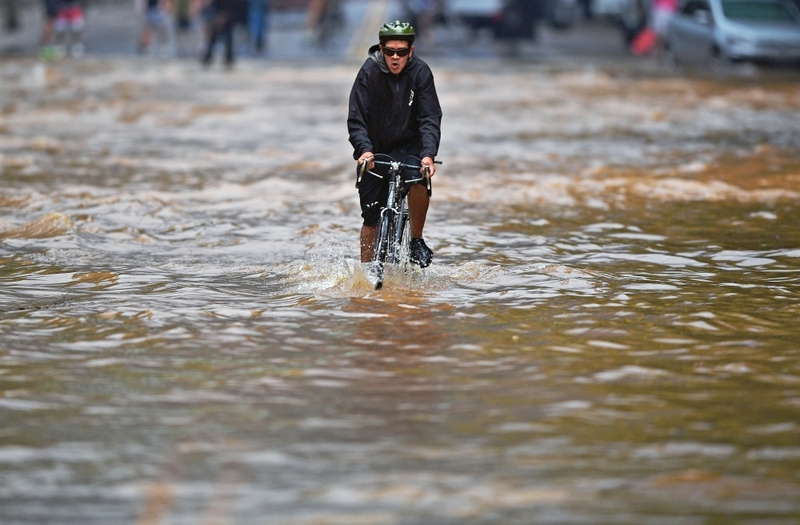 City officials said 6 inches (152 millimeters) of rain fell in just four hours Monday night, more than the average for the whole month of April. 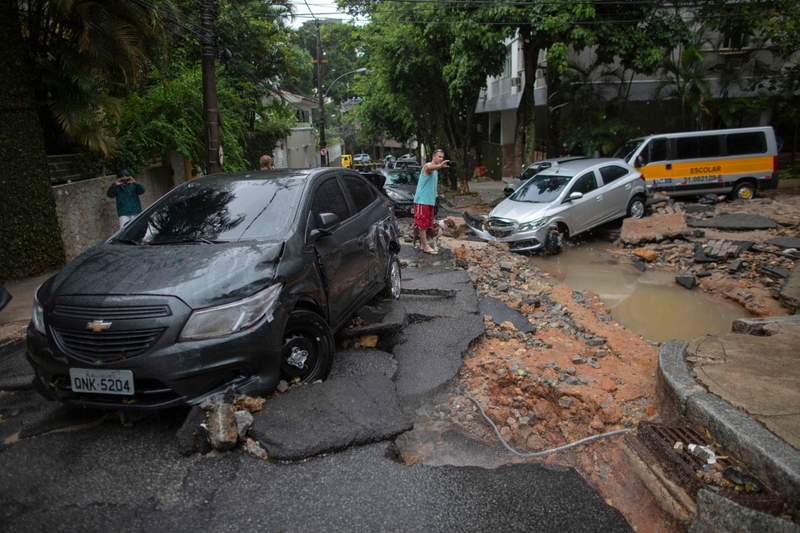 The botanical garden neighborhood, a tourist destination, was one of the most badly hit areas, receiving 9 inches (231 millimeters) in a 24-hour period. Local television stations showed firefighters in that neighborhood wading through knee-deep water pulling a small boatload of children evacuated from a schoolbus on a flooded street. 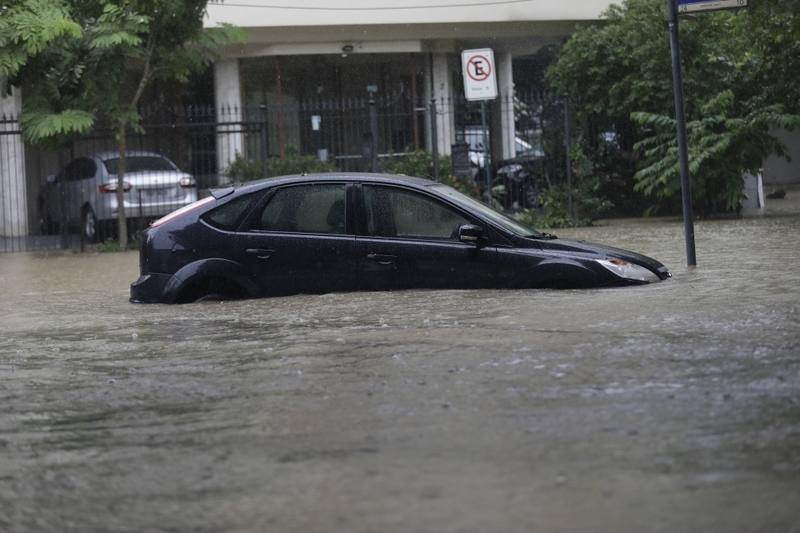 The mayor, acknowledging the city's lack of preparedness for the deluge, said sirens did not sound in Babilonia because the water had not reached the minimum threshold to activate the alarms. He said officials would look into lowering this threshold in the future. 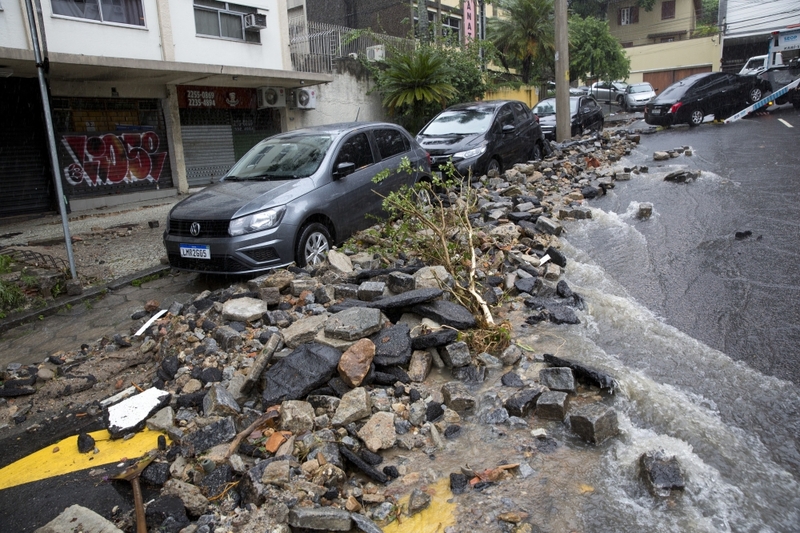 Hillside slums are particularly vulnerable to mudslides and city officials said more than 100 communities in Rio have been identified as having "high geological risks." Crivella said Rio has plans to improve safety, but complained of a lack of federal funding. The mayor said a recent study carried out by the city identified about 200,000 road potholes and rainwater networks that needed fixing. "We're talking about hundreds of millions" of reals, the mayor said on Globo TV news, pressing President Jair Bolsonaro for more federal funding. 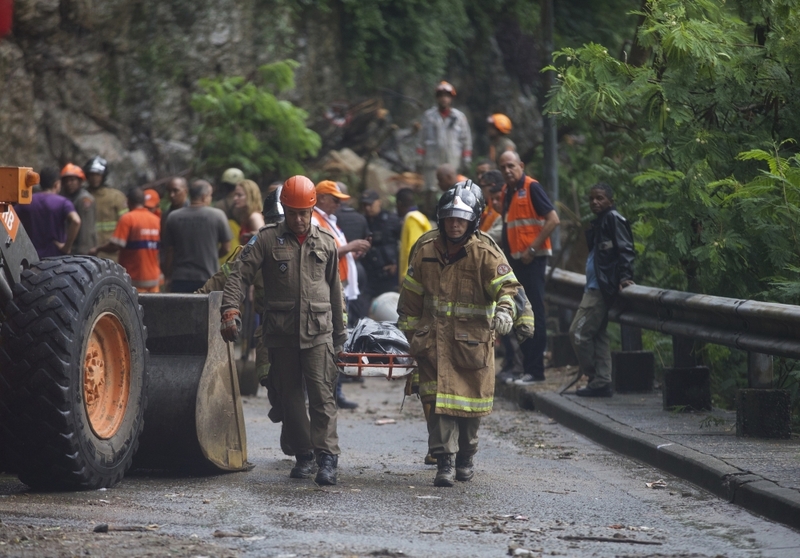 Rio's fire department said that by Tuesday evening it had registered 10 deaths from the latest storm, including two adults and a child who were buried in a car by a mudslide. 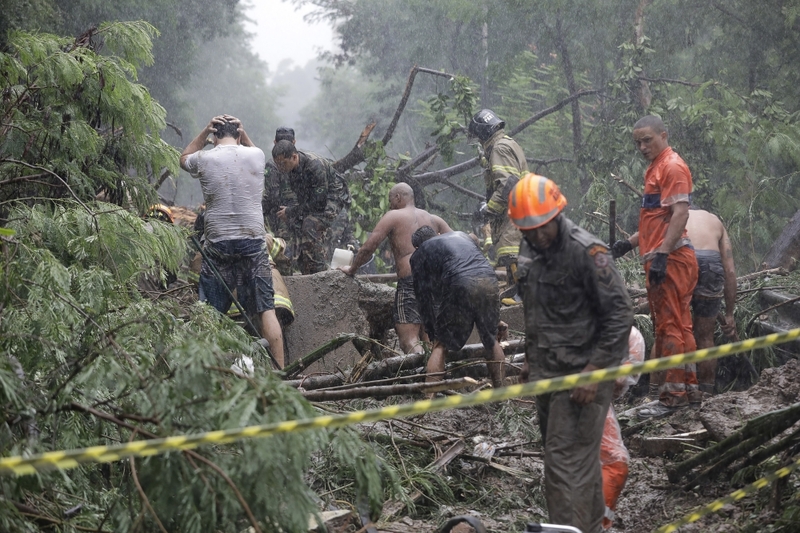 According to news portal G1, the three victims were a little girl, her grandmother and their taxi driver.